I was fortunate to grow up near some of the best art museums in the world, and my parents brought us often, even at a very young age. I remember many visits to the Met, the Guggenheim, and smaller galleries in the city. Every so often, I would see a work that I recognized from a book or print, and I would marvel at how real it was. Not the image depicted, but the artwork itself. It was all there: the brush strokes, the texture, the peaks and valleys of impasto, even the subtle buildup of ink on a silk screen. I loved the myriad details and imperfections that told me this was not just art but also artifact. It was proof that the masterpiece I had only ever seen in books or posters was right there in front of me, for real. To this day, it is something I seek out in any hand made work. 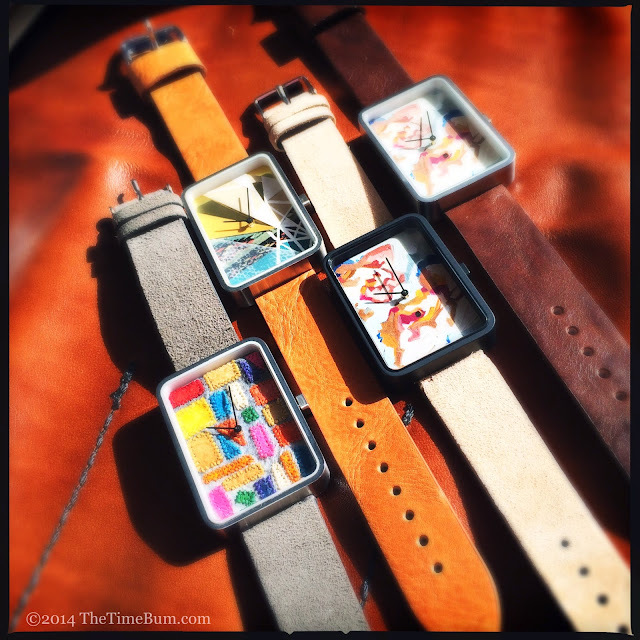 That is why I was excited to review these four watches from Schmutz. Lee Dowell understands the attraction of the artist's hand. His great great grandmother, Rosetta Schmutz, painted dials in La Chaux de Fonds, Switzerland. She wrote about her craft in her personal journal, and when it was passed down to Lee, it inspired him to create a line of watches with original hand crafted dials. 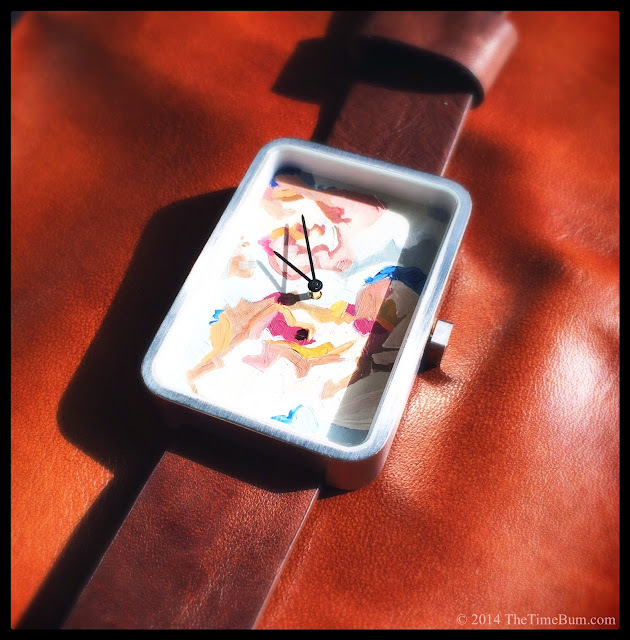 "Art for your wrist" sounds like a cliché, but that is precicely what a Schmutz watch is. When your order one, you may chose between a commission or a print. A commission is a unique design, painstakingly crafted by an individual artist, on the dial of the watch. 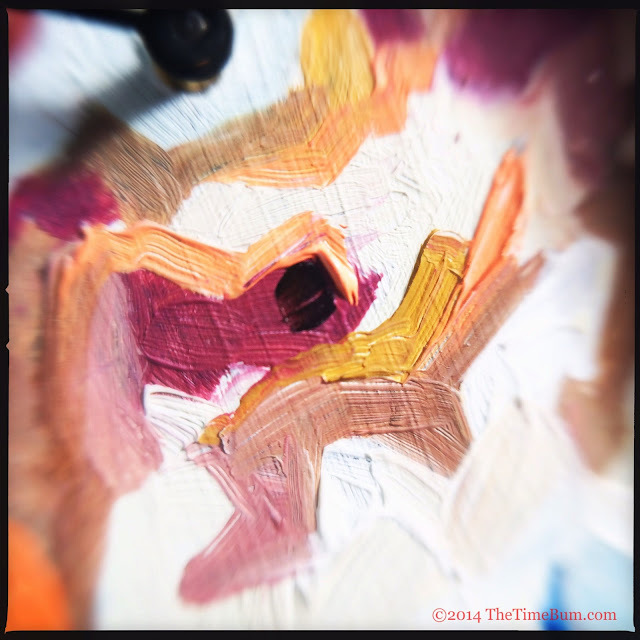 You can choose an artist after viewing samples of their work, submit any requests you may have regarding color, image, or pattern as appropriate, and they will create a piece just for you. Prices range from $375 to $575. 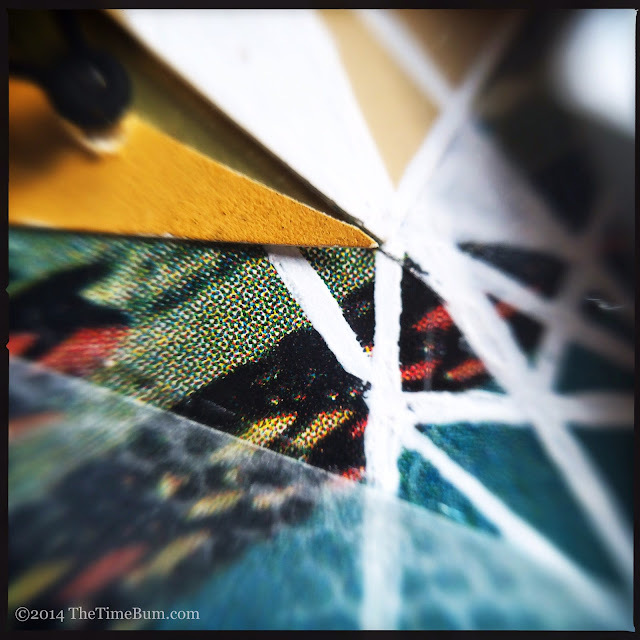 Print watches are exactly as they sound. 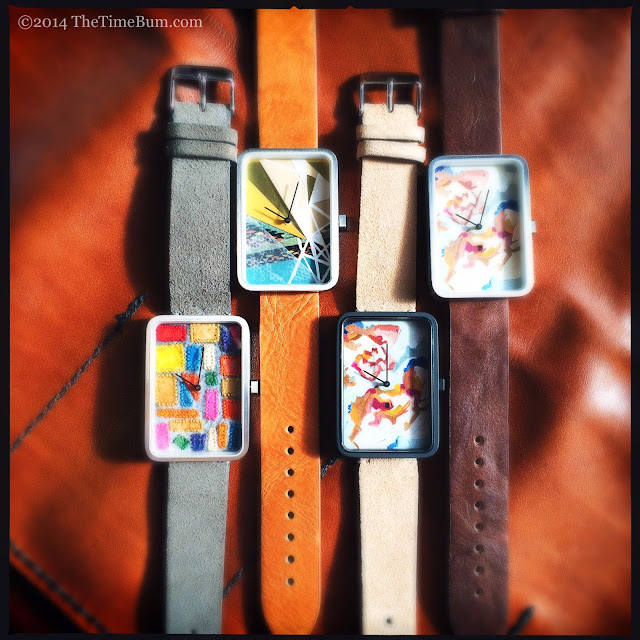 They are prints of original works that are then applied to the dial. 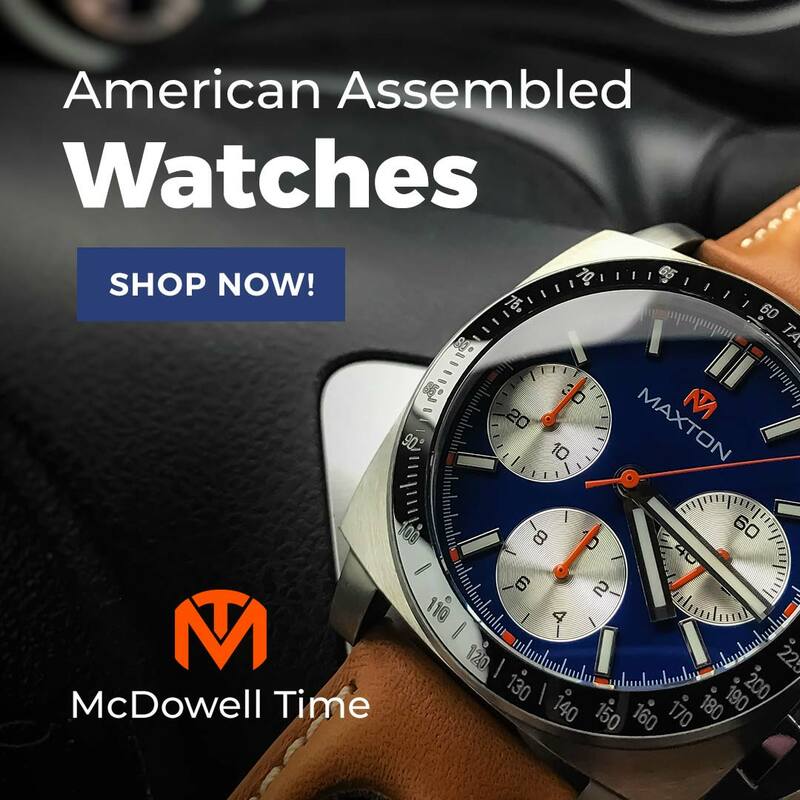 It is a more conventional approach than the commissions, and less personal, but the watches still attractive and at $195, considerably less expensive. With both versions, you also recieve a 5x7 print of the chosen work. 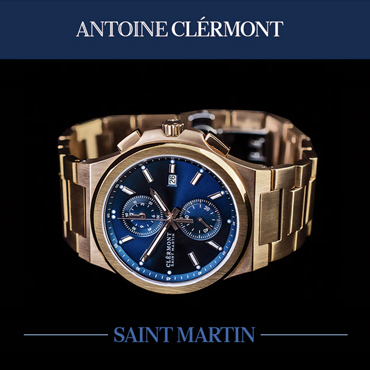 Whichever one you choose, the technical components of the watch will be the same. The case is a sleek, lugless, stainless steel rectangle with rounded corners. It is by no means small, measuring 33mm wide and 47mm long. It wears a mineral crystal and is water resistant to 50 meters, which is sufficient for daily wear. You may choose brushed or PVD black finishes. Viewed from above, it is completely inobtrusive with just a modest bezel to frame the dial. Like the case, the straps won't upstage the dial, but they are quietly attractive, high quality pieces. You have a choice of unstitched leather or minimally stitched suede in grey, tan, or brown - soft, grounded neutrals. Think of it as choosing a matte for your frame. The case gets more interesting when you turn the dial away and see how the flat sides meet the curved caseback. The square crown is another surprise. I feared that it would prove awkward to use, but it functioned just fine. I don't think I would want to wind a watch with one, but as the Schmutz uses a modified Ronda 762 quartz, this is not a concern. The hands are simple sticks, visible enough for you to read the time, slender enough not to interfere with your view of the dial. 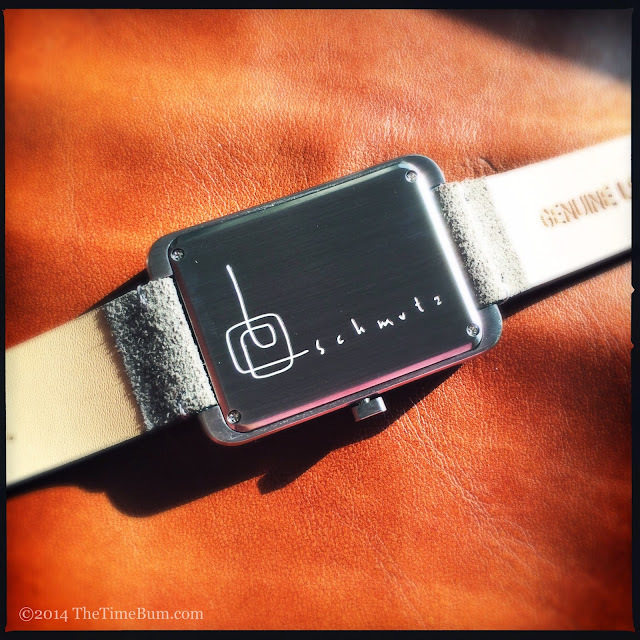 The caseback is engraved with the Schmutz logo, a loopy, hand drawn design that nicely reinforces the brand's ethos. There is no unified Schmutz "look." Lee works with several artists, each with a unique style and vision, using different media and techniques. He lent me commission pieces from three different artists, and one print. 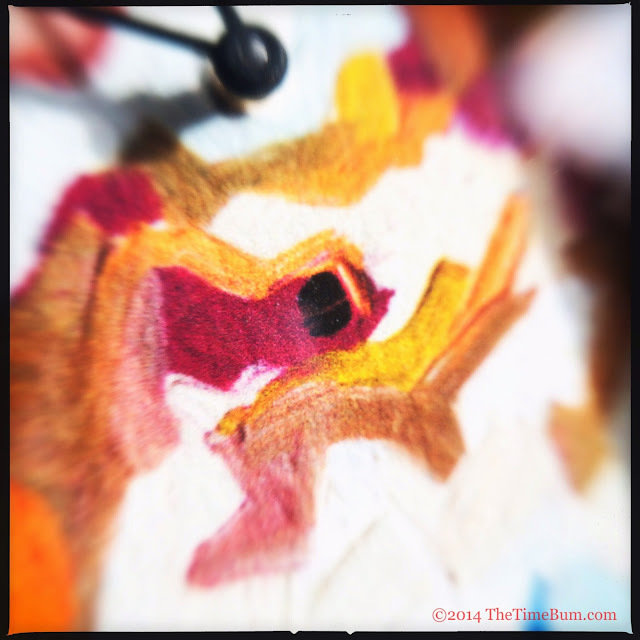 Skye Dowell works with handmade mulberry paper and fabric that is stitched and painted. 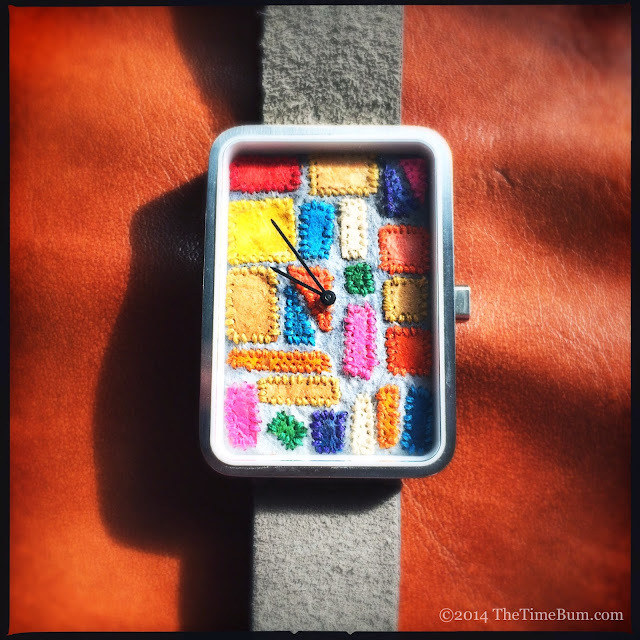 The watch I recieved was a cheery, multicolored patchwork of colored blocks on a pale grey background. Scrolling through her other pieces revealed an intriguing range of designs, some cool and muted, some whimsical, others darkly dramatic. There is something particularly strange about looking at your watch and noticing that the surface is fuzzy. It defies all watch logic, in a good way. Ellie Newell creates intricate abstract collages using paper and found materials. The colors are predominantly pale and harmonious, but with vastly dissimilar textures and patterns. The designs are sharp, angular, and dynamic with stark shadows and lines imparting a sense of motion. Her work frequently incorporates fractured elements that radiate from a central point like shards of glass. There is great tension in this little dial. 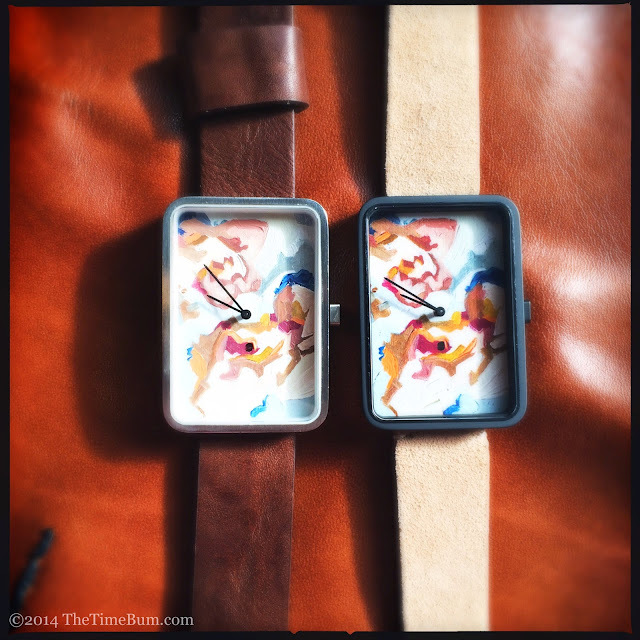 The last two watches were commission and print versions of the same painting by Tiana Birrell. I was glad Lee provided them, because it was fascinating to compare the two side by side and appreciate the differences between the original and the reproduction. 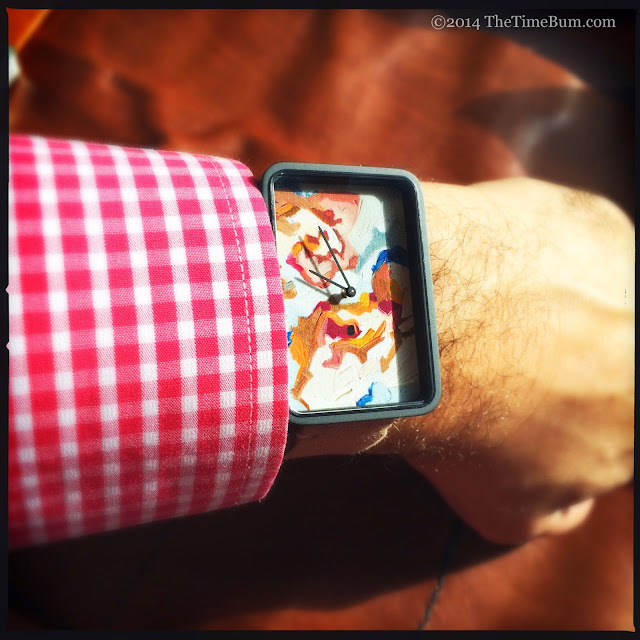 The watch is an abstract painting in reds, yellows, and blues applied directly on the dial. It is delicate and organic, almost floral to my eye. There is motion in this design as well, but a languid rotation as opposed to the exploding fractals in the Newell design. The commission dial has pronounced depth and texture. As you can see from the macro image below, brush strokes and thick dabs of paint are clearly visible, as is the vertical brushing of the underlying base. 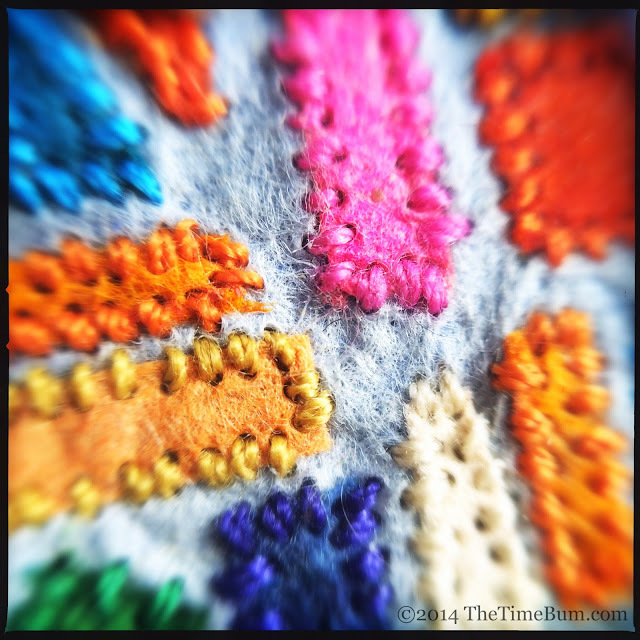 The colors are soft and complex. The painting is alive. The print, on the other hand is vastly different in its execution. Different, but not better or worse, mind you. Obviously, the texture is gone. It is a flat image that retains the shape of the paint, but gives up the play of light. Color and contrast are slightly exaggerated, which makes the image as a whole more vibrant. Indeed, several admirers preferred it to the original because it was easier to appreciate from a distance. When I wore a Schmutz watch, I was initially shocked at the size. A 33x47mm case sounds modest on paper, but the rectangular shape yields a substantial surface area. 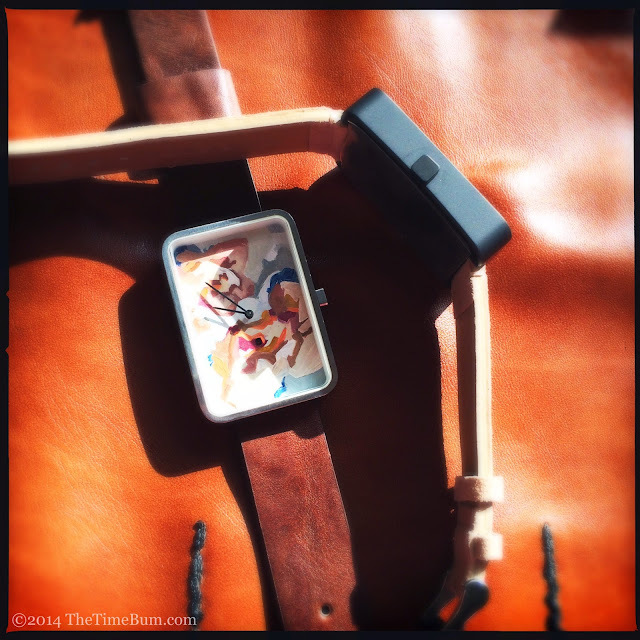 The curved back and absence of lugs make for a comfortable fit, and it slipped easily under my shirt cuff, but while it fit my wrist well, but it proved far too large for Mrs. Time Bum, prompting her to ask for whom the watches were intended. It is a fair question. Two of the three sample designs appeared more feminine than masculine, although I must note that is not necessarily indicative of the particular artist's style. All the Schmutz artists offer a range of designs that would suit either gender, or both. The size is ostensibly unisex, but on the large side for a woman's wrist. I believe a woman can carry off an oversized watch better than a man, but if she wants a more traditional look, then the large Schmutz case may not be the way to go. When I asked Lee about this, he said he wanted the watches to be as unisex as possible while still giving the artists room to work, but indicated that a new line is in the works that would be more compatible with smaller wrists. 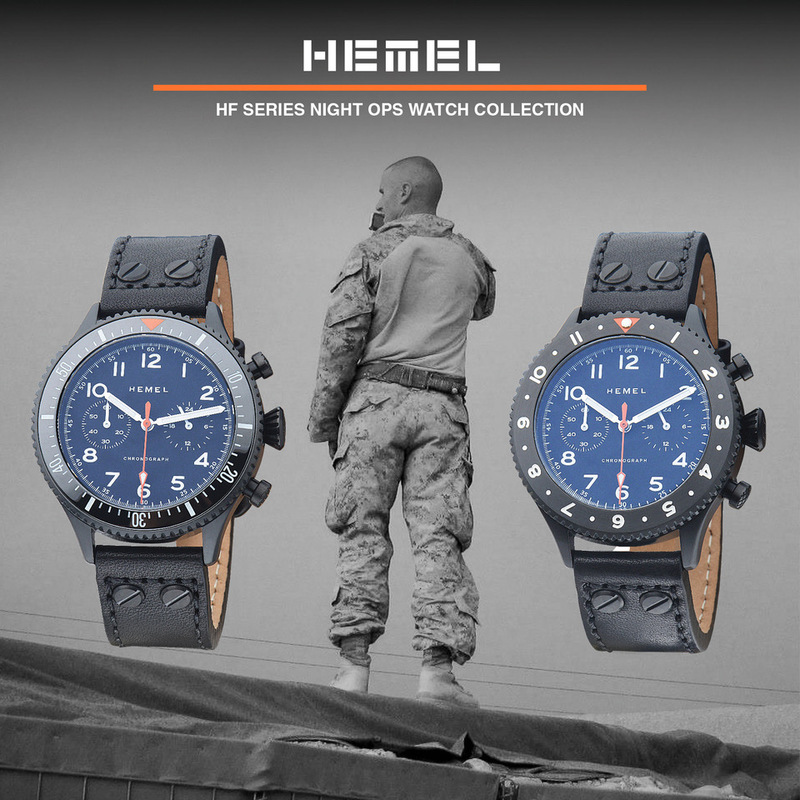 These watches are remarkable. True, the specs are rather ordinary, and no one will wax poetic over a simple Ronda quartz, but that is not what they are about. 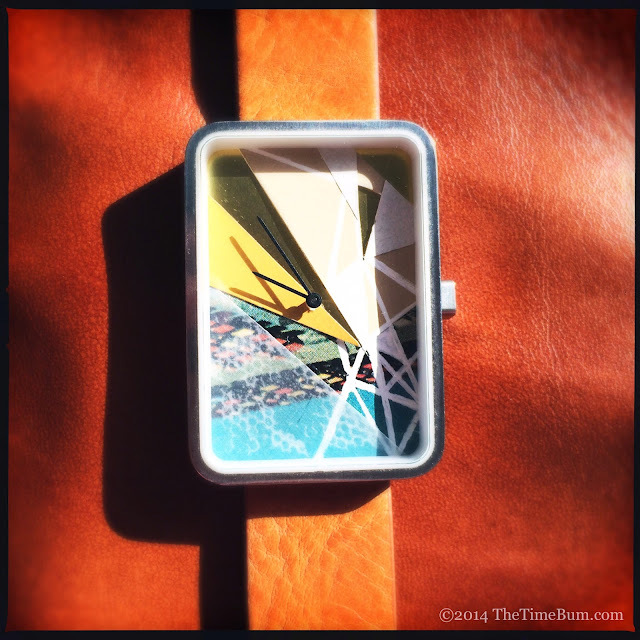 They are tiny works of art – unique creations set inside an elegant, modern frame that just happens to tell time. The print versions are certaintly attractive and quite affordable; however, the commission works really spoke to me. 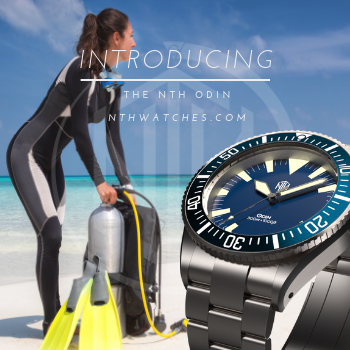 I'd say they would be worth the money even if they had no watch movement at all. After all, they're for real. Con: May be too large for some. Sum: Works of art undiminished by their small size. The Time Bum approves.